My daughter loves her yoga classes. I grew up in a family of yogis. I even enjoyed going to mom and baby yoga. When the yoga was for me though, I have given it several tries and it just wasn’t an experience I enjoyed. My mind would feel like it was on hyperspeed and my body had its own idea of how long I should hold the poses for. Recently, I got to preview what it would be like to take part in FenwaYoga and finally found my inner yogi! 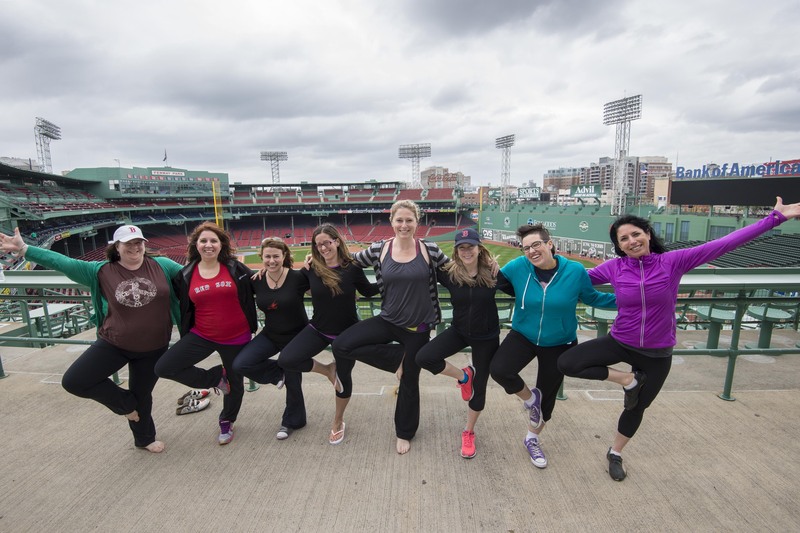 Keep on reading to find out more about the real FenwaYoga on June 8th and how you can plant your feet on Fenway soil as you look up at the Green Monster in mountain pose. Myself and few of my fellow #RedSoxMoms after a preview of yoga at Fenway. For some of the moms it was a first class and for others it was a unique addition to their weekly/monthly/yearly yoga practice. Experienced yogis or not the FenwaYoga experience was definitely a Triple Play (fun for the mind, body, and soul) Photo courtesy of the Boston Red Sox. This was the first yoga class that didn’t have me asking myself how far into it we were and how much longer we had to go. What made me really enjoy the class rather than go through the motions, was that it was wonderful being outside. The whole feeling was different with the breeze blowing by as we held each pose. The other big difference, of course, was the setting. Looking out past my hand in Vasisthasana (side plank pose) up to the lights that shine on Fenway Park during the evening’s games is pretty cool. So why exactly is Fenway the hottest new yoga “un-studio”? FenwaYoga is for good; for a good experience, for a good cause, and for the good of your body and soul. The good experience is not only doing yoga right by the field along the warning track, but doing yoga with instructor Mandy Ingber. Usually yoga practice is not a one time thing, but if yoga isn’t your thing you can still enjoy FenwaYoga. With a teacher like Mandy Ingber, who is author of Yogalosophy: 28-days to the Ultimate Mind-Body Makeover, the philosophical aspect of the experience is something you can take with you into other parts of your every day life. Mandy Ingber is coming in to Fenway from Los Angeles where she is a celebrity yoga instructor with clients including Jennifer Aniston, Kate Beckinsale, Ricki Lake, Brooke Shields, jewelry designer Jennifer Meyer, and Helen Hunt. 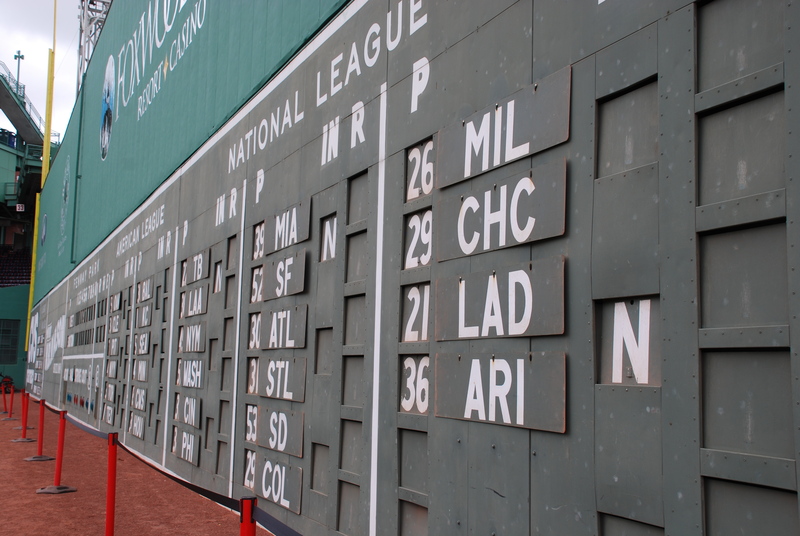 The funds raised for FenwaYoga will benefit Red Sox Foundation’s Red Sox Scholars and RBI Baseball/Softball programs. The first is a scholarship program for a college/university education. The second, RBI is all about Reviving Baseball in Inner Cities. For those of you who play or have played sports or who have children that do, you know the value of team sports in a child’s life and to a community. As an attendee at FenwaYoga, you are asked to raise $250 for the Red Sox Foundation in addition to $25 for admission. $250 from each of the attendees will do a lot for the foundation, yet is not too big an amount for an individual to raise. If you can get a friend each day between today and June 8th to donate $15 you’ll surpass your goal. In addition, because I won’t be able to make the June 8th yoga class as my nephew will be throwing out the first pitch at a Portland Sea Dogs game for his 4th birthday, I want to help some of you meet your fundraising goals. It’s not a lot, but I will donate $25 to four of my readers who are planning to go. Just leave your name, a quick note about why you are participating in FenwaYoga and the link to your fundraising page in the comments. For all my readers, use code REDSOXMOM (all caps please) for $10 off of your registration fee. Your mind and body are connected. Even though we often go through day to day life taking breaks to focus on our bodies, and then getting lost in the world inside our heads they actually work much better in tandem. Those who practice yoga well, often have an advantage over us, because they tap into on the mind-body connection on a regular basis. One thing I learned this winter, was that we are all so busy, but this business of being busy is sometimes an illusion. If we make time for our minds to settle and our bodies to get the attention they need, we gain time. We gain clarity. We gain health. We gain joy. I hope to see some Instagram pics, some tweets, and some glowing smiles around all the bases from some of you on June 8th. Take the time. Do something different. 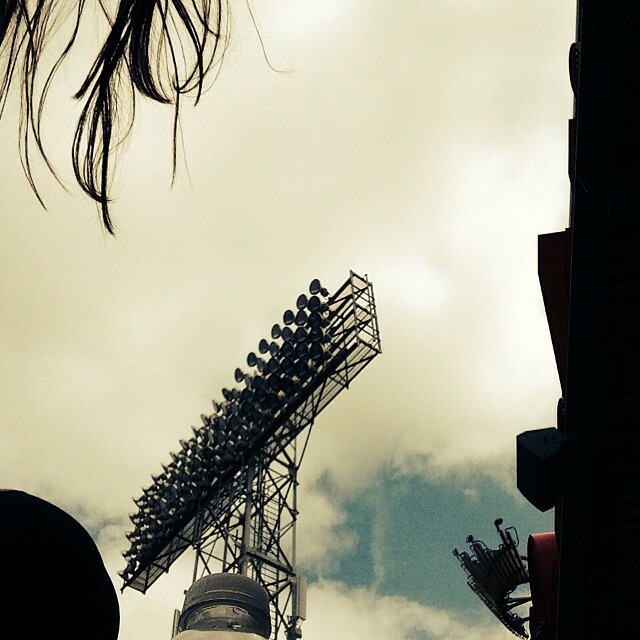 Enjoy Fenway in a whole new light. To register for FenwaYoga you can go here. If you have any questions you can have them answered here. Then, all you have to do is raise a little money, dust off your yoga mat, or take your weekly yoga practice on a field trip to Fenway!